Lowland heath is an internationally important habitat type that has greatly declined in abundance throughout Western Europe. In recent years this has led to a growing interest in the restoration of heathland on agricultural land. This generally requires the use of chemical treatments to return soil chemical conditions to those appropriate for the support of heathland ecosystems. However, the potential for negative impacts on the environment due to the potential of these treatments to increase the availability of trace metals via raised soil acidity requires investigation. 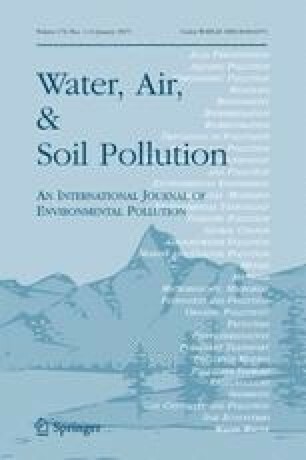 A large-scale field study investigated the effect of two chemical treatments used in heathland restoration, elemental sulphur and ferrous sulphate, on soil acidity and whether it is possible to predict the effect of the treatments on availability of two potentially toxic cations (Al and Cd) in the soil along with their subsequent accumulation in the shoots of the grass Agrostis capillaris. Results showed that both treatments decreased soil pH, but that only elemental sulphur produced a pH similar to heathland soil. The availability of Al, measured by extraction with 1 M ammonium nitrate, could not be predicted by soil pH, depth in the soil and total Al concentration in the soil. By contrast, availability of Cd could be predicted from these three variables. Concentrations of both Al and Cd in the shoots of A. capillaris showed no significant relationship with the extractable concentration in the soil. Results are discussed in light of the possible environmental impacts of the chemical restoration techniques.